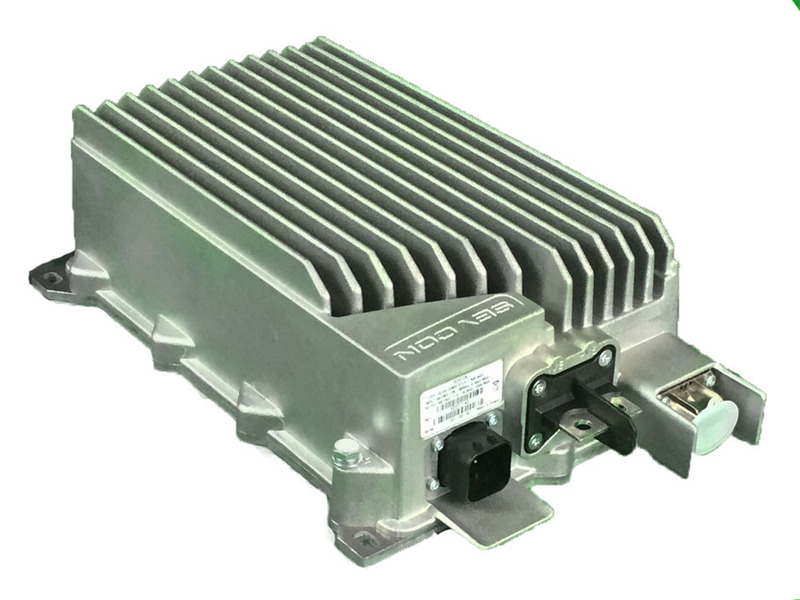 This High Voltage DC/DC converter is specifically aimed at vehicle OEM’s and system integrators to offer a compact, lightweight, rugged and cost effective class leading solution. This range of High Voltage DC/DC products are designed to satisfy the current trend to use higher battery voltages between 220VDC to 800VDC which are converted to lower voltages to power ancillary loads. Nominal 12VDC with exact output voltage set using a CAN communications command. The products can satisfy a range of power requirements from 1.2kW to 7.2kW (when paralleled only). The High Voltage DC/DC range is designed to offer full performance across the temperature range of -40 ̊C to +45 ̊C (air cooled) and +65 ̊C (liquid cooled). It has many protection features such as input UVLO, input OVLO, input reverse polarity, current limit, output short circuit and over temperature. The CAN communications features allow the units to be enabled and disabled with communications messages. If no CAN is used, the DC/DC converter can be enabled by an external relay or switch, Output Power OK signal.